The best adventures start with a knowing look, a smile and a few key directions to get you on the right path. 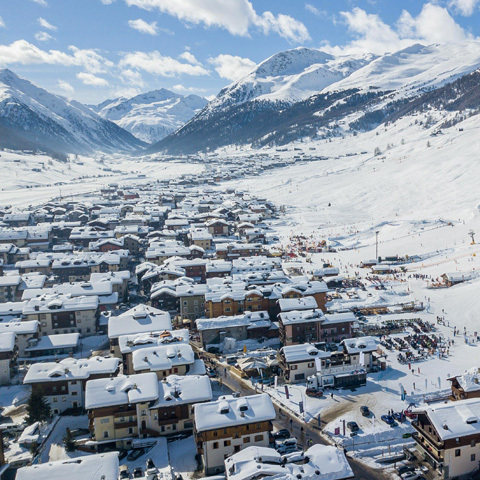 During the winter season there are two access points for Livigno: the Foscagno Pass (2291 metres) if you're coming from Bormio, Sondrio or Milan, or the Munt La Schera Tunnel which connects the resort with Switzerland and the main communication links with Central Europe. For customs purposes, when you arrive you will be asked to show a valid identity document, and you must either have winter tyres on your car or be carrying snow chains. Warning: during the winter the Forcola Pass (2315 metres) is closed. If you are coming to Livigno from the Valtellina, when you reach Tirano, continue towards Bormio (don't follow directions to Switzerland). 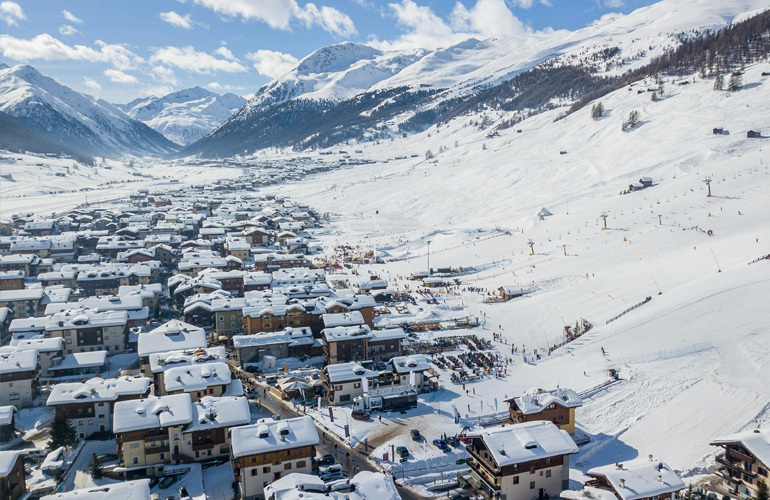 When you reach Livigno, you can get to the Carosello 3000 peaks using the San Rocco and Livigno Centro gondolas. These gondolas are connected with the ski slopes and other ski lifts at the top, and free parking is available at the bottom. You can easily get to the ski lifts using the free shuttle bus which travels through the whole town, from the campsites in the Forcola area all the way to the lake. Free parking is available next to both the Carosello 3000 San Rocco and Livigno Centro gondolas.